Sometimes when sending out a proposal on synergist, mistakes can be made to the recipient information. For example, a wrong email address. This can be resolved easily by re-sending the deal invitation with the corrected information. First open the deal you would like to resend out the invitation for. 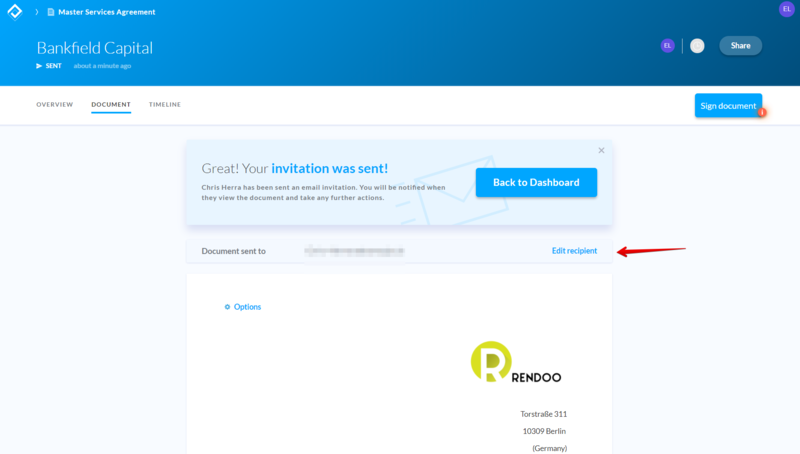 If your counterparty has not acted upon the invitation sent to them yet, you will see a tile saying who the document was sent to. Click the Edit recipient button. 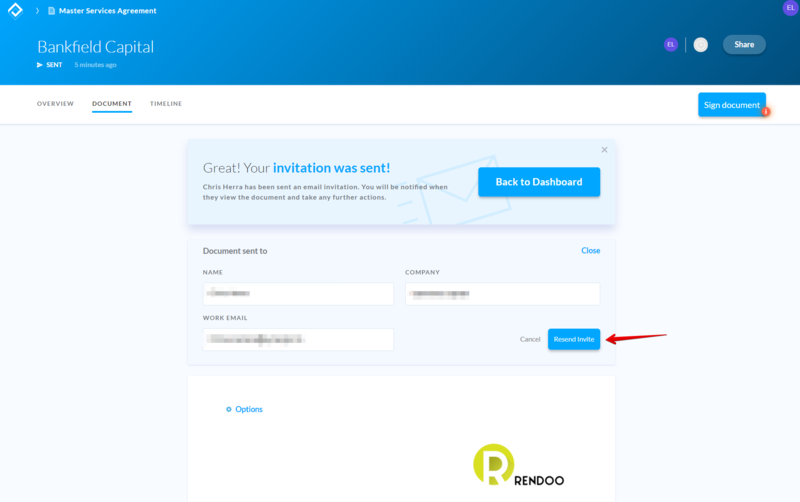 Now you can change the email address, name and company name of your recipient and resend the invitation to the correct counterparty. Once that's done your updated counterparty will receive an email invitation to view your deal on synergist.